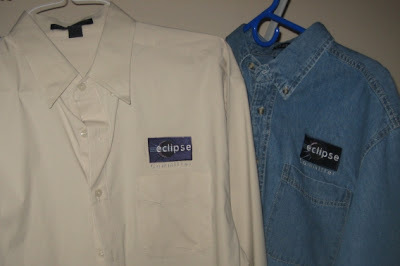 These two shirts were the shirts committers received at the last two EclipseCons. I have to say that it’s been progressively worse at each EclipseCon… so I’m calling the fashion police out at the next EclipseCon to make sure committers receive shirts that they would actually wear 🙂 Furthermore, without Yahoo! Answers, I would have no idea what to wear with a denim shirt.